Thank you to Eileen Gress who shared this story of growing up on an Ayrshire dairy farm and buying her own first Ayrshire! 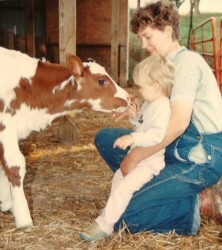 One of my favorite pictures is one of me at a few days old in a baby carrier on my mom’s chest as she fed calves. I was still wet behind the ears when I met Ayrshire cattle for the first time. 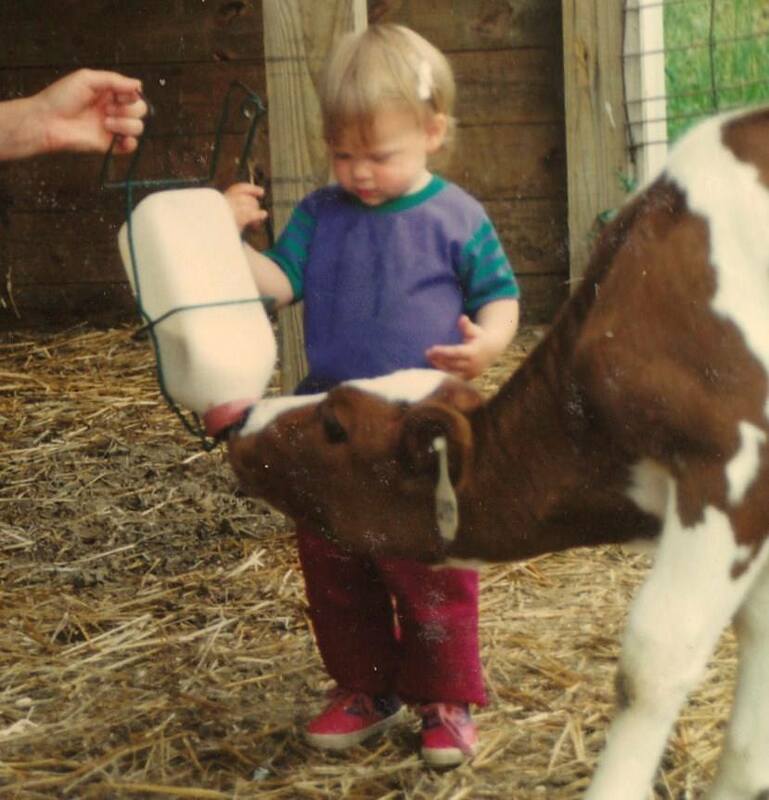 Being able to grow up on an all-Ayrshire farm has been a privilege because I learned how important it is to stand out of a crowd. 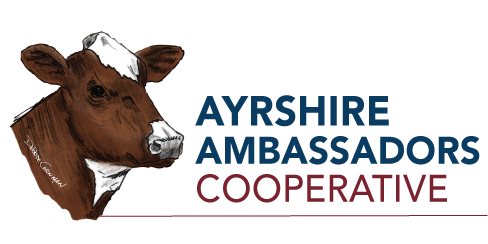 After 11 years in 4-H working with many, many Ayrshires, I bought my first Ayrshire earlier this year. 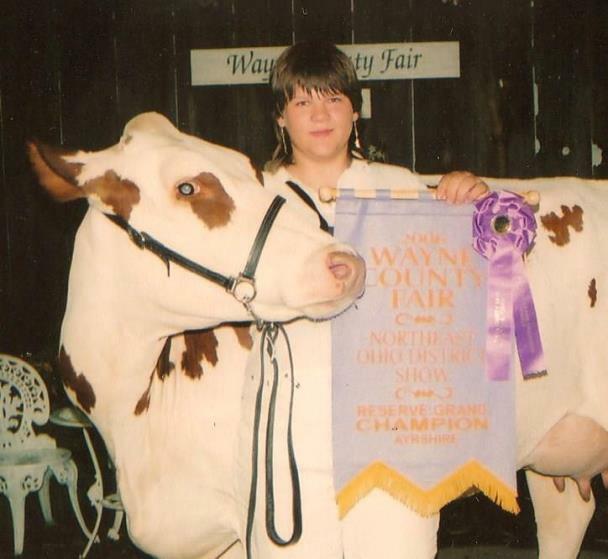 She is a third-generation heifer from a really great family of cows I showed in 4-H, out of an EX-90 2E dam and an EX-91 2E granddam both with records over 20,000 lbs. 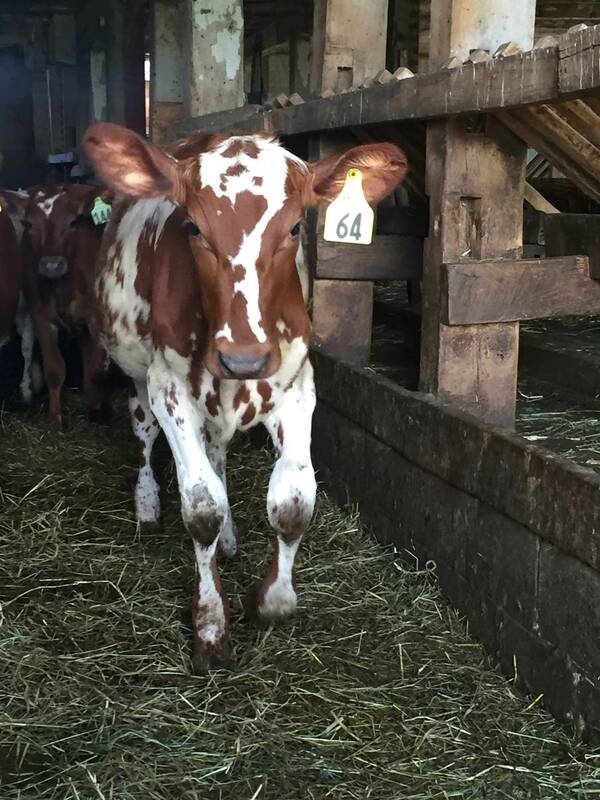 I'm so excited to grow my herd from here!